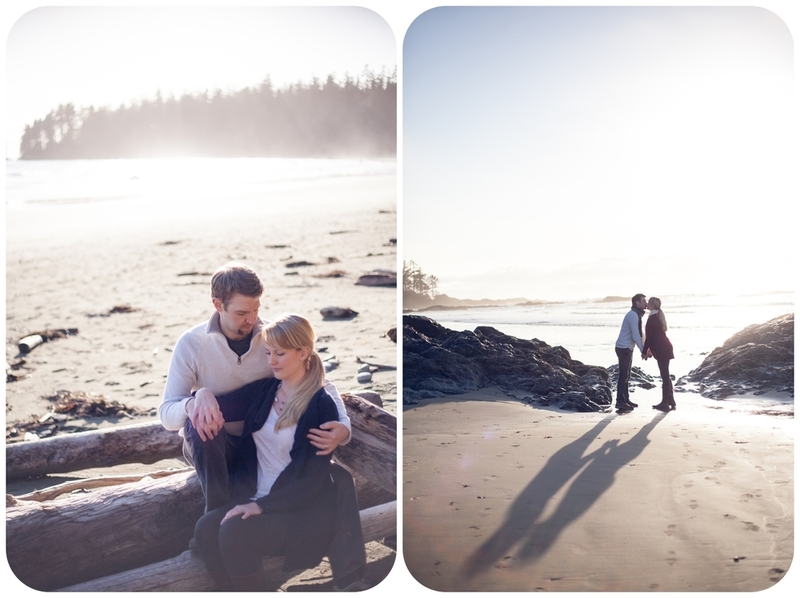 Are you thinking about having your engagement session or wedding amongst the beauty of the west coast? 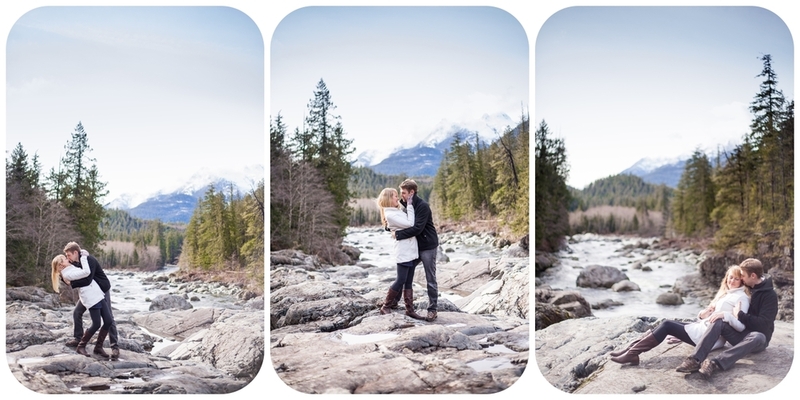 GREAT IDEA!Having had many opportunities to photograph love amongst the incredible beauty of Vancouver Island, I can't help but rave about the locations available out west. Driving from my home in Qualicum Beach to Tofino, I could honestly pull over one thousand times to take in the scenery and even better, photograph LOVE amongst it. Just a few months ago, this is exactly the opportunity I had. This is where Katherine & Keegan come in. They agreed to spend the day with me going to Tofino, stopping as desired to photograph them and to enjoy a day of west coast fun together. It was SO lovely! 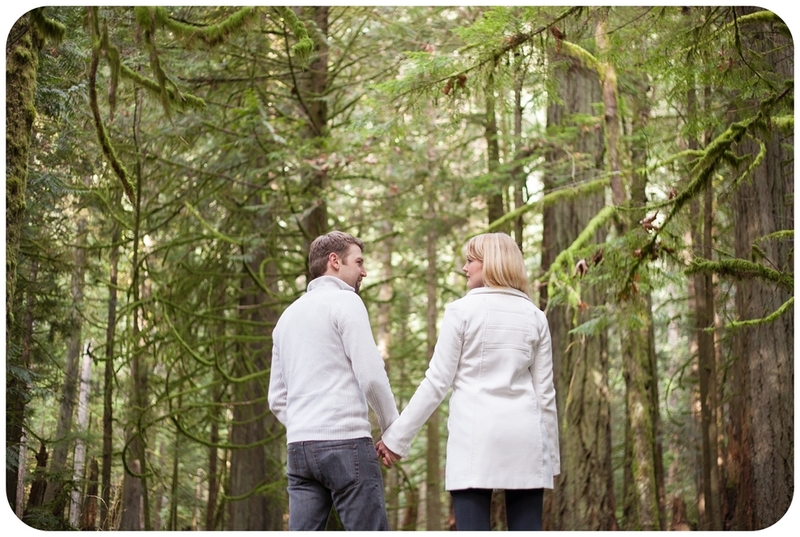 We captured their love amongst the trees of Cathedral Grove, a location that is whimsical & intimate and simply put; a breathtaking backdrop for your engagement session or wedding photos. 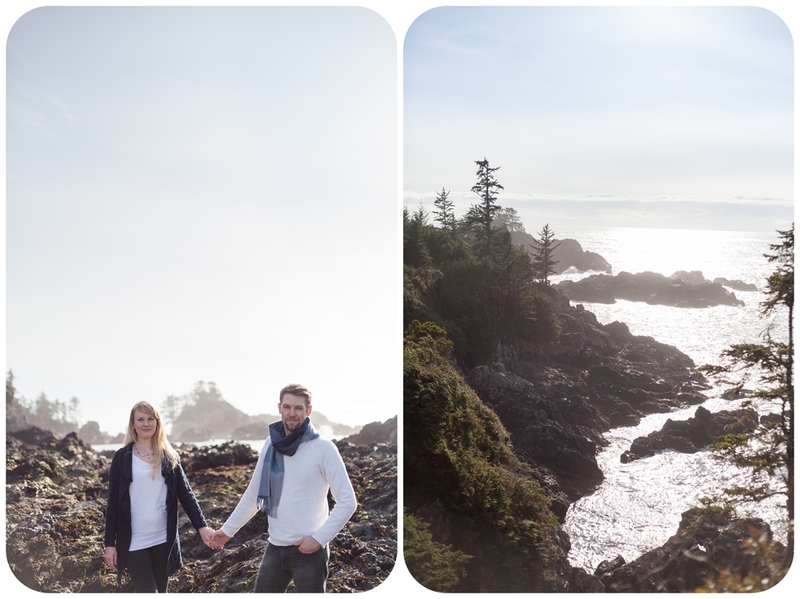 We captured their love alongside rivers and waterfalls and also at one of my favourite places, the Ucluelet Lighthouse. The lighthouse is SO beautiful. I love to climb the rocks and perch myself up as high as possible and just sit. On this particular day, I asked Katherine & Keegan to join me & had them snuggle up while the massive ocean waves crashed behind them. We then walked the Wild Pacific Trail taking in the incredible sites and exploring secret beaches and enjoying the beauty. If you haven't had the chance to experience the beaches of the west coast.. please go as soon as you can. I never tire of the contentment, peace & gratitude I feel spending time at them. The rugged coastlines, the sand, the driftwood, the waves.. it's heaven to me. What are a few of my favourite beaches? Well, there are many. On this particular trip we visited Florencia Bay, Wikkinanish Beach & Long Beach. Florencia Bay is a smaller, quieter beach perfect for sitting amongst the piles of driftwood with the one you love in the warmth of the sun. Wikkinanish has some incredible hiking trails and is perfect for watching the large waves crash amongst the small pieces of land sitting off the shoreline. I feel like it's even more beautiful on a foggy day. Long Beach is known for the surfing, driftwood huts and a beach that goes on farther than the eye can see. It's also a FABULOUS place to catch the sunset after a long day of sightseeing! Either way, you can't go wrong. 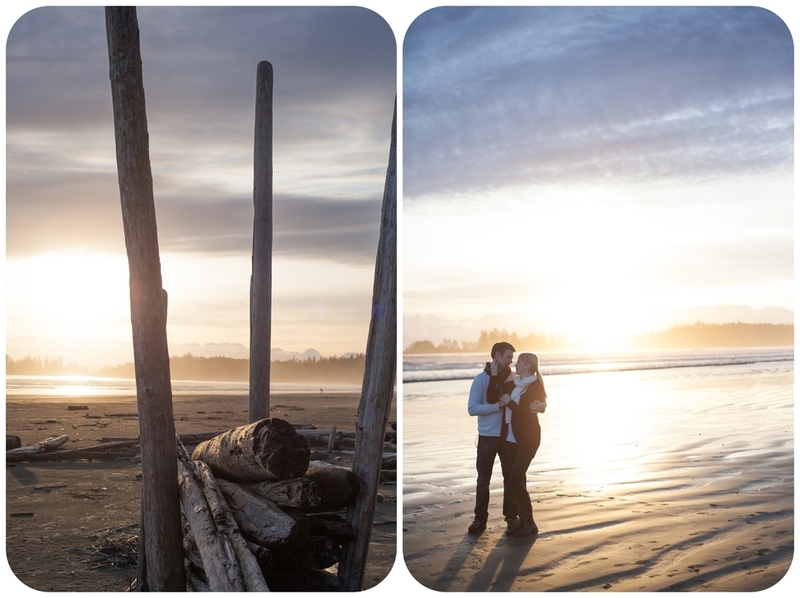 The west coast is truly a perfect location for your engagement session or wedding and guaranteed fun! Overall, it was so fabulous to drive to our hearts content, and stop for photos when I saw something that inspired me and tugged at my heart. Adding the beauty of a couple in love to the already incredible landscapes of the west coast is truly perfection. I'm already being called back. I think next time I will have to spend the night. My favourite hotel? The Black Rock Oceanfront Resort in Ucluelet! Anybody else up for a road trip?